Most women outlive their husbands, they make the important phone calls during the day, run errands, pay bills, and get the kids off to school. With all these tasks set out to be done, you may be persuaded to do what’s convenient to save time. Now, when it comes to picking an auto body shop, picking what’s convenient is not always the best way to go. Looking up reviews, talking to friends or even calling your local mechanic are just some of the ways you can use to determine the proper repair shop to take your vehicle to. Dealerships are good with getting repairs completed but you have to be aware that just because you take it to the dealership doesn’t mean they will put the original parts back on to your vehicle. Dealerships will repair your car under the guidelines of what your insurance policy says. When you sign on to an insurance policy, there are some underlining things included, that you don’t become aware of until it’s time to get repairs. Your insurance agent is the person who would be able to help you choose a policy that fits your needs in case you ever were to have something happen to the vehicle. Listening to your agent and coming up with a preplanned scenario, is the best thing you can do for yourself, and the vehicle. A lot of people are afraid to use their insurance and risk their policy premium being raised. Insurance premiums do get raised under collision, but are looked at differently under comprehensive. Comprehensive insurance claims are simply something that happens to your vehicle that you had no control over such as any act of mother nature, hitting a deer, vandalism, and stone chips damaging a windshield. You would be surprised how many people are afraid to put in a claim through their insurance not knowing it’s covered under comprehensive. If you are often a victim of this, you should consider lowering your comprehensive deductible to zero. When repairs are done to a vehicle under a comprehensive claim, your premium can be raised but at a lower percentage than collision. 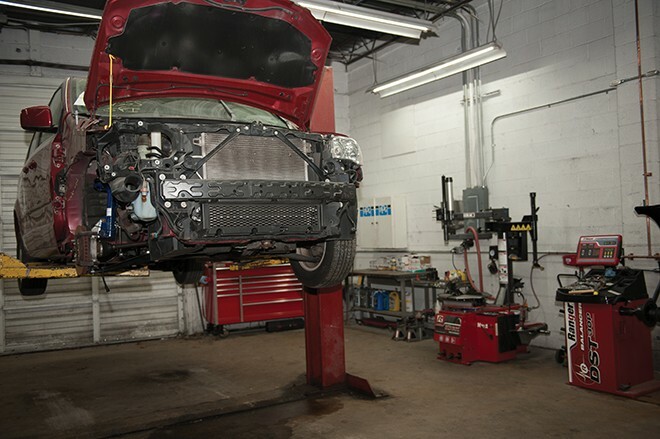 Just to insure yourself that the vehicle will be repaired correctly and that there is a lifetime warranty. Taking shortcuts to get the work done faster or cheaper only causes problems for the vehicle and the body shop. Everyone makes mistakes but cutting corners on repairs is unacceptable.